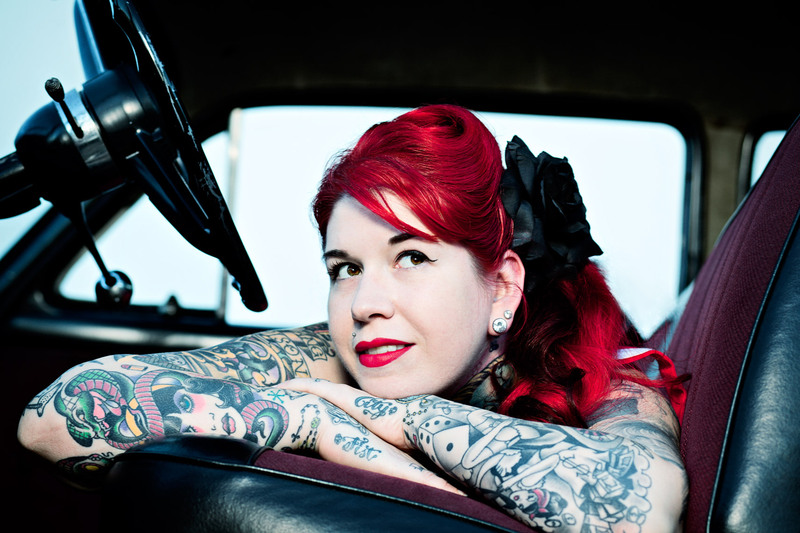 Lifestyle portrait photograph of tattooed girl with flame red hair laying across the seats of a vintage truck. Vintage, hipster feel. Commercial photograph taken in Atlanta.